Chances are you haven’t heard of myYearbook, a social networking site that sits somewhere between Facebook and dating sites. But the company turned profitable last year and has seen its growth soar, in part by emphasizing engagement and games with an increasing focus on mobile. MyYearbook, which was founded in 2005, shared some statistics today about how its business has grown in the last year, especially on mobile, showing that the company is surviving amidst larger competitors by focusing on its core offering: Helping people meet others and stay engaged with each other. The company, with 25 million members, said it has hit 1 billion mobile page views in June, up from 140 million in November last year. The mobile business, which is made up of iPhone (s aapl) and Android (s goog) apps along with a mobile web site, now accounts for 40 percent of all log-ins, up from 2 percent a year ago, when myYearbook launched its first mobile app on the iPhone. And myYearbook’s Android app has also hit the top ten on Android Market for free social apps. The growth has helped MyYearbook turn profitable and put it on a $30 million annual run rate. And it proves that the company can compete without taking Facebook and others head on. MyYearbook has done this by emphasizing social discovery, helping users find each other and stay connected to them. The service allows people to see user activity in a feed that can be organized by location, age, and gender. Users can then interact with each other by sharing information and pictures, playing games with each other or throwing out questions through a Quora-like Q&A feature called Ask Me. One of the more unique tools is a feature called Live Games that launched late last year that lets people video chat while playing games together in real-time. The average player now spends 17 minutes per Live Games session. 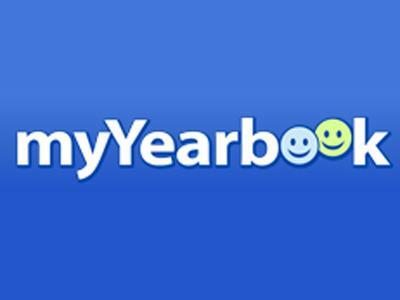 CEO Geoff Cook said myYearbook has taken its weakness — its smaller network — and turned it into a strength by emphasizing new friendships and giving new users a reason to stick around. “In order for us to grow, we needed to have as much utility for people who have 150 friends or one friend on the network. Meeting new people is a solution, so we optimized around that and now we have more engagement and page views than most sites. We rank in the top 30 in terms of minutes on site according to comScore (s s scor),” Cook said. While features like Live Games aren’t available on mobile, it’s something myYearbook is looking at as part of a larger push on mobile gaming. The company bought a handful of Android games earlier this year with the intention of offering the games to mobile users and tying the experience together with myYearbook through a social layer. The hope is to offer many of the games across all platforms so users can interact without barriers. MyYearbook won’t be challenging Facebook anytime, but I like its philosophy. The company is building toward long-term progress and sees that its success lies in retaining users and keeping them involved. That helps with monetization, getting users to buy virtual currency in games, and creates more page views for ad impressions. But more importantly, it shows there are still opportunities to grow in the social networking space by serving a niche and getting the most out of mobile.